Upgrade to the New Hikvision DS-2CD2042WD-I 4MP IP camera. Still small in form factor, and even better in quality. Offers that New Crisp 4MP image which can be obtained in day and night, just making it unmatched with anything else on the market. 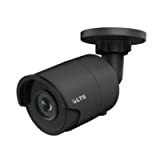 Features: 4 Megapixel High Resolution Full HD1080p Video Output 3D DNR & DWDR & BLC IR Range: up to 30m (90 feet) Specifications: Supported Mobile Systems: iPhone OS, Sybian, Android Supported Operating Systems: Windows 98, Windows XP, Windows Vista, Windows 7, MAC OS, Windows 8 Connectivity: Wired IP Network Image Sensor: 1/3" Progressive Scan CMOS Min. Illumination: 0.07 lux @ (F1.2, AGC ON), 0 lux with IR Shutter Time: 1/25 sec to 1/100,000 sec Lens: 4.0mm@ F2.0, angle of view: 83° IR cut filter with auto switch Digital Noise Reduction: 3D DNR Wide Dynamic Range: Digital WDR Video Compression: H.264 / MJPEG Bit Rate: 32 Kbps ~ 16 Mbps Dual Stream: Yes Max. Image Resolution: 2688×1520 Image Settings: Rotate mode, Saturation, brightness, contrast adjustable by client software or web browser BLC: Yes, zone configurable ROI: Yes, up to 4 configurable areas Alarm Trigger: Motion detection, Tampering alarm, Dynamic analysis System Compatibility: ONVIF, PSIA, CGI, ISAPI Operating Conditions: -30 °C ~ 60 °C (-22 °F ~ 140 °F) Power Supply: DC12V ± 10% and PoE (802.3af) Package Includes: 1 x HIKVISION DS-2CD2042WD-I 4mm Outdoor HD Network IP Bullet Camera 4 x Set of screws "Power supply is not included"
If you’re conteplating where to find HIKVISION 4MP IP Camera DS-2CD2042WD-I Full HD 4MP IP Camera High Resoultion WDR POE Bullet CCTV Camera online, this is your safest bet. Tried and tested. 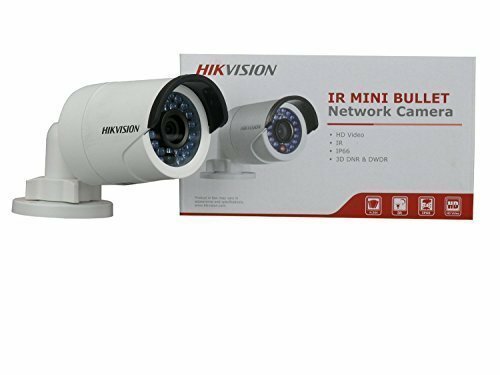 HIKVISION 4MP IP Camera DS-2CD2042WD-I Full HD 4MP IP Camera High Resoultion WDR POE Bullet CCTV Camera is so much more than i expected. a huge thanks!